The first order of business was to reorganize the site architecture. Over time the menus had become cluttered and it was difficult to find information. Once the site map was set, it was time to fine tune the content and design to hone in on key issues and calls to action. New Song Mission is supported by donations and volunteers. 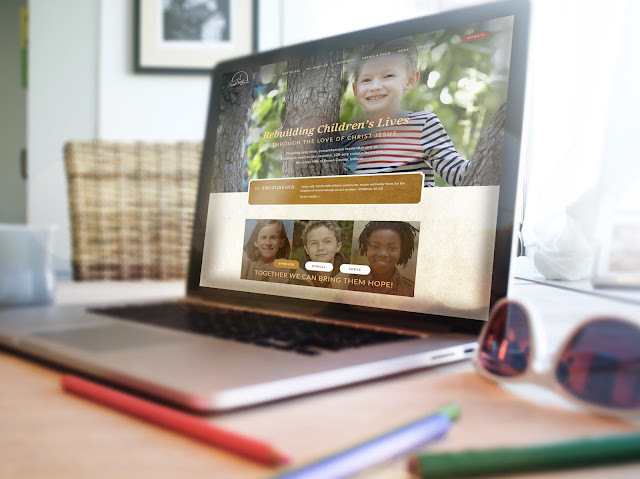 It is critical that their website communicates their mission and inspires action from its audience while also connecting with the population they serve—families and caregivers of children in troubled homes who are in need of long-term, residential care. 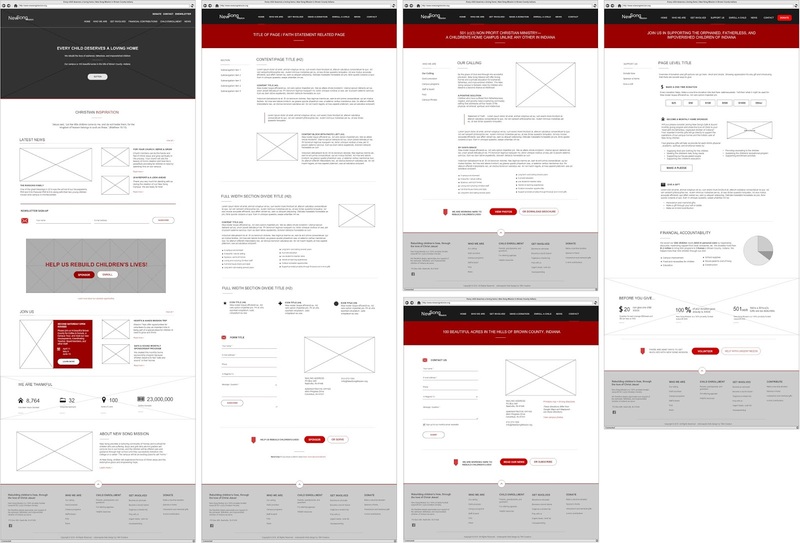 Wireframes created during the planning stage for the New Song Mission new website. Website strategy to help the team at New Song define their goals and how the website can help meet them. We also provided additional direction on email marketing and use of social media. Full redesign that enhances the brand, connects with their different target audiences and elicits action. Included responsive coding so that the website communicates effectively on any device. Upgraded Content Management System (CMS) with multiple functionalities for easy management helping New Song truly maximize their new website resource. Integration with third party services for donation collections. When dealing with a site that is nearly eight years old, there can be a number of complications. However, when the organization truly understands the benefits of overhauling the website both behind the scenes and with a fresh design, the results are stunning. This redesign was a big change for New Song Mission and one they were ready to embrace with our guidance. Each year we like to reach out and work with nonprofit organizations on a pro-bono level. When we heard New Song Mission’s passion for their cause, we knew we could make a big impact with a fresh design and upgraded, more functional content management system. Our goal was to build a site they can use for years to come. 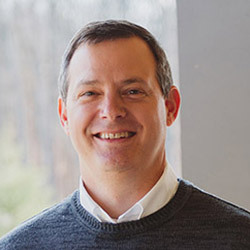 Email marketing and strategic use of social media are excellent tools for an organization such as New Song Mission, and we have made recommendations to help them further shares news and Christian inspiration. New video content would be another impactful tool for this site and was accounted for during the design planning stage. New Song Mission, a 501(c)(3) non profit Christian ministry, is a children's home campus unlike any other in the State of Indiana. Located in the scenic hills of Brown County, our purpose is to rebuild the lives of fatherless, neglected, and impoverished children so that they will feel loved and become equipped to fulfill God's wonderful purpose for their lives. TBH Creative has worked with countless not-for-profit organizations over the years, and we would love to put our experience to work for your organization too. The New Song Mission project is a great example of the difference we can help make with your online communication—a website is a powerful tool. Contact us for more information about our design and marketing services.